Friends, I have survived. After a quick nap (if you can even call it that), Andrea and I got up at 230am, were on the road by 3am and in line by 415am. The line nearly wrapped around the entire Philly Expo Center + thats even with some amusement park line weaving inside the building and under a tent outside. It took us until 8:55 to actually get to shop. Here’s the thing…. There is a waiver now! Hallelujah for those animals that call themselves humans and apparently had no sensible mother to teach them how to act. The line was pretty insane but as always, Lilly Pulitzer CEO, Scott Beaumont was walking through the crowds. He is so nice and Andrea and I got a picture with him last time but we were looking rough so we didn’t take another one this year! He stopped and chatted with us, girls around us took pictures and then he asked when we got there, we told him about how much fun we had at Lilly for Target (and about my birthday party!) he was smiling the whole time and even moved up with us in line as the line started to move to keep chatting! So I won’t go into the gory details. I had a great haul, only spending $92! Some of the prices were more expensive: totes at $69 v. $29-39 before. Elsa tops were around $69 I believe, shoes $89…so I chose to focus on more inexpensive items that I wouldn’t find for such a good deal elsewhere. Zebra print dress is 3/4 sleeve and only $29 [can you believe that? similar are usually $98] but it doesn’t have a tag so I don’t know much more about it than that, murfee scarf (cashmere scarf) in she got sole, [originally $118, $34], on the rocks necklace [regularly $88, $19], pick me up pouch [originally $32, $9] that I’m going to use as a case for my iPad mini. I can’t believe I made it out in under $100, I was really trying to limit myself! I spent $92.68 on $336 retail! They were constantly pushing out new inventory so if you haven’t headed to the sale yet don’t worry about things being there! They definitely are planning on it lasting the three days – this isn’t Lilly for Target! The line was longer than ever before, CEO Scott Beaumont also confirmed that he had never seen anything like it but he agreed the buzz around Lilly for Target made people come out early and in large quantities. I think that the line progressed more slowly and I can’t even be upset becauuuuuuse, the shopping experience was so much better than I remembered! They let fewer people in at a time so you could actually walk around and see what was there rather than have to just grab blind and head to a corner to sort through your stuff. I was actually super impressed with the sale and staff this year, they were really awesome! I was disappointed that the prices seemed higher…but what can you do?! 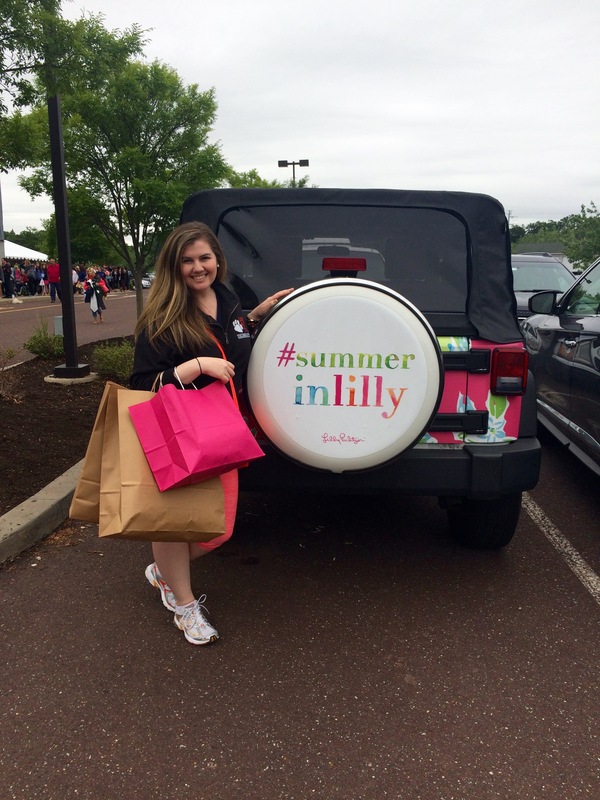 A look back to 2013 Lilly Warehouse sale! 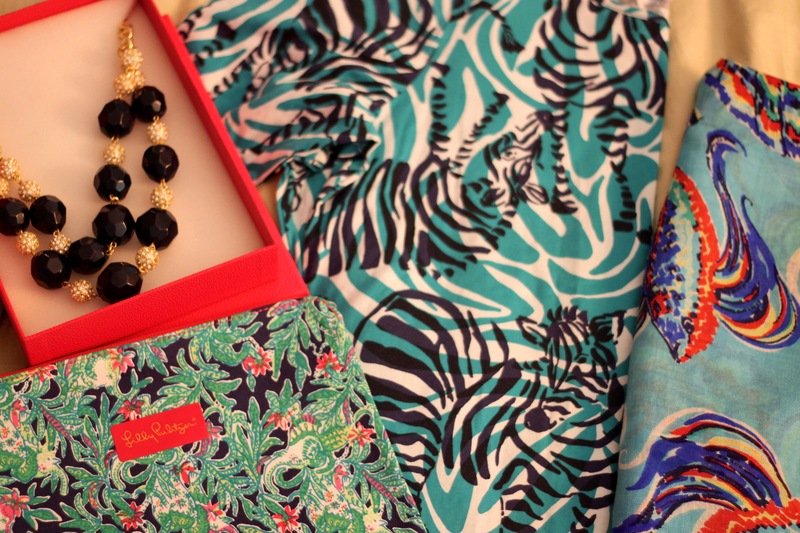 Categories: Good Times | Tags: lilly pulitzer, lilly pulitzer warehouse sale, warehouse sale | Permalink.